MAINTENANCE REQ - 0001 - The counter of waste ink at borderless printing has reached the specified value. 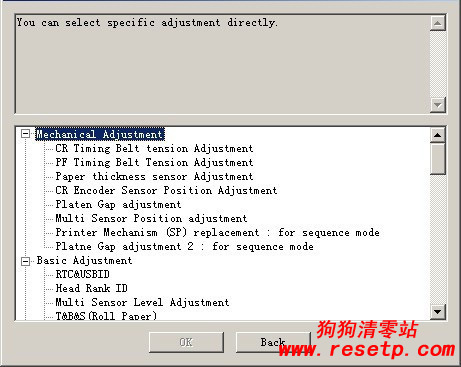 MAINTENANCE REQ - 0002 - The CR scan pass counter has reached the specified value. MAINTENANCE REQ - 0008 - The RTC backup battery becomes exhausted. MAINTENANCE REQ - 0040 - The pump counter has reached the specified value. MAINTENANCE REQ - 0080 - The date has not been set. MAINTENANCE REQ - 0100 - The RTC backup battery power has temporarily dropped.